The Goose Island Brew Pub Meetup had a record turnout of over 100 people and raised over six hundred dollars last night. Brendan Goff hosted the packed room, along with representatives from the Obama and Cegelis camps. To ensure a better host-to-attendee ratio for June, we are asking anyone who would consider hosting a Meetup in their neighborhood to email Meetup Chairman Josh Lange (bottlroktt@yahoo.com) with your name, phone number, and neighborhood. Let's get out the Meetup in June and keep the momentum going! Images from the Meetups at Goose Island and Ann Sather are available through the Photo Section of the ChicagolandForKerry.com web site. Calling all Chicagoland voluteers to help with visibility events in June. A visibility event is a fair or festival or any other kind of gathering in which we are showing John Kerry’s name passing out literature, buttons, stickers, signs and recruiting new volunteers and supporters of the campaign. They are a fun time and a way to enjoy many of the festivities in Chicagoland. Here is a list of June events are recruiting for at the next meetup session on Thursday may 27. We need as many coordinators as possible, so if you or anyone you know can step up and organize any of these it would be greatly appreciated. There are also other events in June. If there are coordinators we can arrange to do other events as we go. 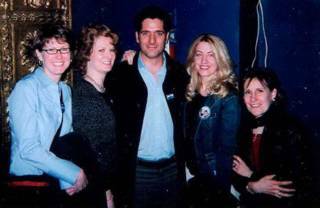 Did you go to a Kerry Meetup in the Chicagoland area on Thursday (5/27/04)? Were you a Host or Attendee? Is this the first time you went to a Kerry Meetup? Have you been to one before? Which location did you go to? What kind of people were there? What did you think? Is there something they should have covered a bit more? Was it worthwhile? Will you come again? Got an experience or observation to share? Please leave a comment here. The AP is reporting that Green Party delegates are considering nominating Ralph Nader despite his insistence he would not accept the nomination. Mark it on your calendar Chicagoland for the Green Party convention June 23-28 in Milwaukee. Americans in November have the opportunity to elect a strong environmentalist to the Presidency of the United States. 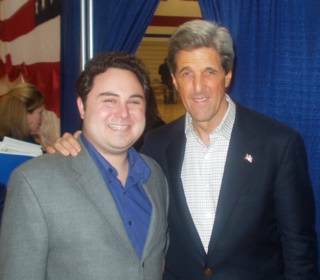 We must be there helping convention goers learn about John Kerry’s record on the environment. Check out the Greens for Kerry Website. More on this development at Blog4Kerry. Avis LaVelle has been named the new Illinois Field Director and is expected to officially start with the campaign on July 1st. What a fantastic choice! Besides having a wealth of campaign experience, Avis has deep roots in Chicago. Having Avis in a visible leadership role will significantly broaden John Kerry’s appeal across all demographics. For more information, read a more extensive bio from the Chicago Public Schools. Just a note of thanks to everyone who came to the Kerry Meetup at Ann Sathers tonight. 40-50 eagar and energetic people showed up on this fine Spring evening. Victor Barry and I discussed various ways to get involved in the local campaign effort. Dave Perry was there to discuss voter registration. We later fielded questions and heard suggestions from several participants. The spirit was great! Discussion ranged from reaching out to independents (both left and right) to posing important questions of policy to the Kerry Campaign. The AP reports "Boston is the place where America's freedom began, and it's where I want the journey to the Democratic nomination to be completed," Kerry said in a statement released by his campaign. "On Thursday, July 29, with great pride, I will accept my party's nomination for president in the city of Boston. From there we will begin our journey to a new America." Get ready to raise funds for the DNC folks, we have a 5 week disadvantage to overcome. Wow, what a fantastic weekend for Kerry up in the 9th Congressional district! Seven house parties were held last Saturday with almost four hundred party-goers in attendance (Rogers Park, Wilmette, Evanston, Skokie) Hosts raised over $26,000 in checks and Kerry Core donations. Party-goers were treated to an action packed evening. Besides the conference call with John Kerry, US Rep. Jan Schakowsky and Cook County Commissioner Larry Suffredin visited the house parties to remind people about what is at stake in this election. I can’t tell you how great it is to live in an area where the elected officials like Jan and Larry help to nurture grassroots activism. Guests were also treated to Robin Trilling and Thali Tarsinos performing a hilarious political song parodies routine. Guests at Ruth Krugly’s house in Wilmette also heard Kerry Hall (aka young JK) speak. Thanks again to all the speakers and performers for braving the rainy weather in order to dash from house to house. Be sure to congratulate our party hosts for the incredible job they did this weekend. This could be very good news. If the Democratic Party finds a way to push back the nomination, Kerry would not have to worry about being handicapped by the five-week difference between the conventions. Based on our fundraising figures, Kerry should be reaching parity in spending with Bush in another month. Never thought I’d say this, but… Thank you Howard Dean for breaking the spending caps. As reported on the AP wire: Democratic presidential candidate John Kerry (news - web sites) is considering delaying accepting his party's nomination to gain time to raise and spend private contributions and lessen President Bush (news - web sites)'s multimillion-dollar financial advantage, campaign officials said Friday. The Democratic Party would still hold its national convention in Boston at the end of July. If Kerry were to delay acceptance of the nomination for a month, it would help even the financial playing field with Bush, who will be nominated at the Republican National Convention in New York five weeks later. “I fondly remember a time when real Republicans stood for fiscal responsibility. Apparently those days are long gone for some in our party." Read more about the Republican machine attacking McCain after his comment. The Republicans are pulling out all the stops to discredit John Kerry. Since they control Congress they can call votes at any hour of the day or night. It seems the latest tactic is to wait till Kerry is out of Washington and then engineer some pop vote that they hope will embarrass him. The latest is a Senate vote on an amendment to extend Unemployment Benefits by 13 weeks. This vote had been held up for months by the Republicans. With Kerry safely out of town, they suddenly scheduled a vote. Anyone familiar with the Republican opposition to extending unemployment Benefits -- time and time again -- can only laugh at this little bit of theater. For more on the Bogus Vote, read Sheryl McCarthy's "GOP Stacks the Vote to Make Kerry a Loser". The MeetUp in support of Barack Obama will be taking place tomorrow Wednesday, 5/19/04 at 7pm at Goose Island, 1800 N. Clybourn Ave, Chicago, IL. This is a wonderful opportunity first for Kerry Supporters to reach out to a fellow Democrat; and second, to invite Obama Supporters to our own Kerry MeetUp which will be taking place next Thursday (5/27/04). The campaign has announced that Chris Heinz will be returning to Chicago to take a position in the Kerry campaign. Chris will be the new State of Illinois field director starting some time in mid-June. Note: The following note is a joke. I hope no single volunteers have been overly distraught by finding out this announcement is false. Please, will the rest of the Chicagoland bloggers join and help me out soon I’m dying here? Where is this Guy? Not Kerry... The Other Guy. Where in the World is Nathan Zeke? Congratulations to Nathan and Tanya on their recent marriage in LaCombe, Louisiana. Feels like we haven’t seen the happy couple in over a month, and we miss them. Rumor has it that since Louisiana was added as a battleground state by the Kerry camp, Nate and Tanya decided to spend the two weeks of their honeymoon registering voters in New Orleans instead of vacationing. Can anyone confirm this? 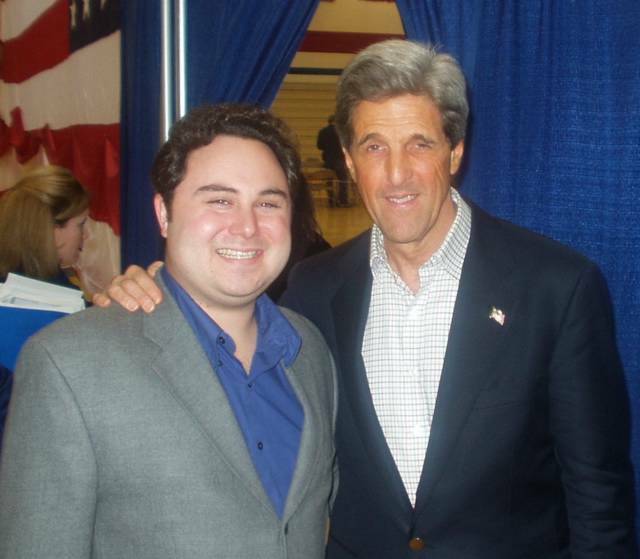 Welcome to the ChicagolandforKerry Blog! Welcome to the ChicagolandforKerry blog. If you have never “blogged” before it is a great forum to exchange ideas, facilitate communication and just plain have some fun in a free-flowing format. Chicagoland blog posters include event coordinator Gary Klein, super leader Victor Barry, ChicagolandforKerry webmaster Leo Klein, myself, “Cedar Rapids gal” Maureen Stimming, and for a historical perspective Brendan Goff. Other posters will also be joining also.